ILLUSTRATION: NOAH KROESE: Tug of War: What is it good for? Absolutely Nothing. Tug of War: What is it good for? Absolutely Nothing. Here's the latest for Investing.com. 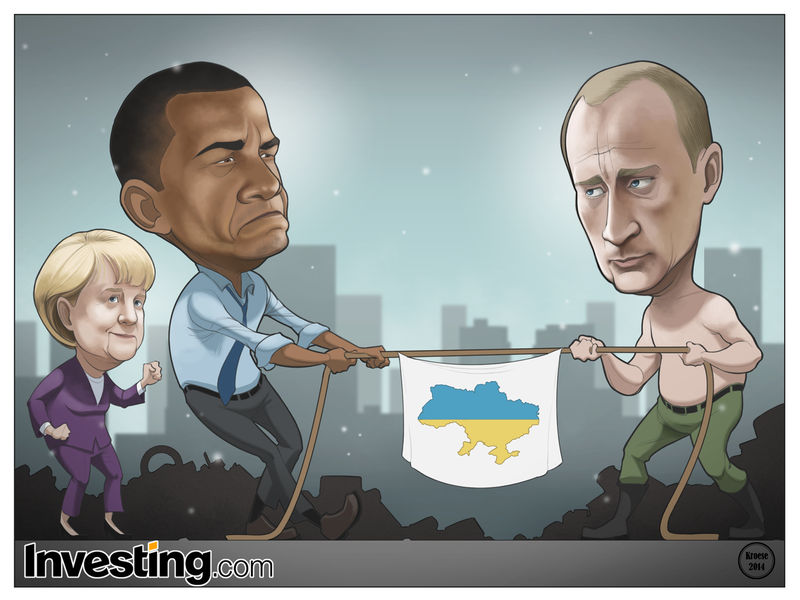 This week's comic is about the ongoing situation in Ukraine. It's a complex situation. One that involves real people's lives and the sometimes disastrous consequences that governments and leaders can have on those lives. Because I don't pretend to understand it fully, I'm not going to attempt to explain it. I do, however, have a decent grasp on drawing (both literally and figuratively). 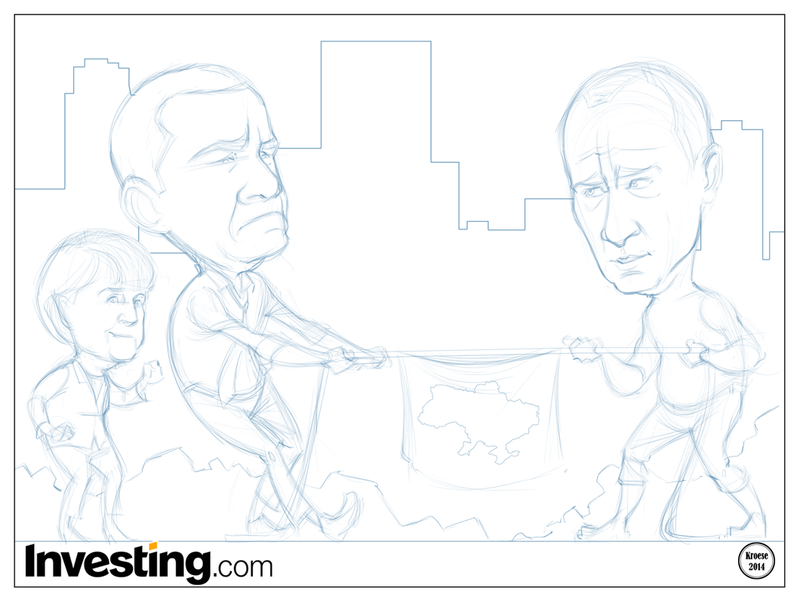 For this week's comic, the team at Investing.com asked me to draw Barack Obama and Vladimir Putin playing tug of war with the Ukrainian flag between them. Angela Merkel was to be shown in the background, cheering for Obama. There was no specification for the background. At first, I considered something blank or abstract that would emphasize the hyperbole here. But I wanted a background that would act as a (marginally) better reflection of some of the emotion in this struggle. I decided to show the Kiev skyline, some of the rubble and barricades constructed during the protests, and gray skies. I had the idea to add snow late in the game, but I think it was a nice touch. I'm happy with the faces this time. This is my first time drawing Vladimir Putin, who has some interesting features. Overall, I think this comic turned out well. I can only hope for the same for the people of Ukraine. It must feel very cold there right now.